Bee-Bot is an appealing programmable robot which with it's simple and child friendly layout is perfect for teaching control, directional language and programming to the children. It is used by all the grades across the curriculum. They love it! Below is an example of how it was used in grade 7. Objective:Creating maps and programming the beebot to follow the correct route. Crosscurricular links: Maths, English and Sequential Thinking. 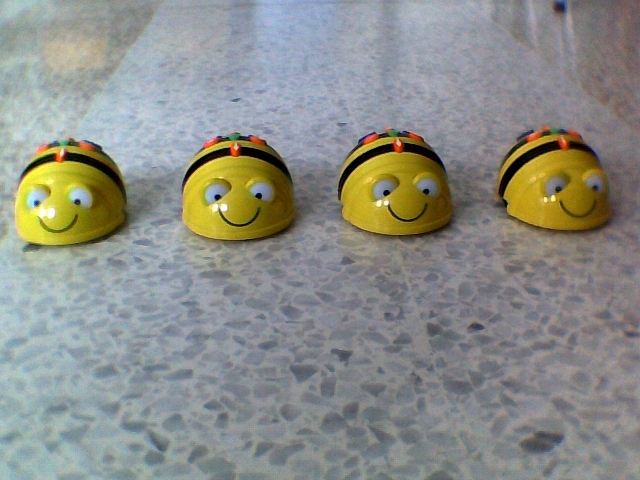 All the grade 7 students were so enthusiastic to start this activity using these sweet bee bots. They had to create a path for the beebot to follow. Working in teams they had to plan a route which the bee bot had to follow. The path had to have a start and a finish. Using only right angles they planned very hard to calculate the proper distance the beebot needed to move to follow it. They came up with very imaginative routes.